PONTE VEDRA BEACH, Fla. – The 13th-ranked Arkansas men’s golf team shot the third-best score of the day and moved up two spots to finish tied for seventh at the annual Sea Best Invitational, played at the par 70, 6,858-yard TPC Sawgrass – Dye’s Valley Course. The Razorbacks carded a 2-over 282 Tuesday and finished with a 54-hole score of 861. Florida State ranked 39th, won the event, climbing four spots with a 9-under-par 271 Tuesday for a 54-hole total of 840. North Florida, ranked 23rd, was three shots back to finish second (848), followed by #46 Florida (851), #35 Liberty (851) and #26 North Carolina State (854). The field featured nine of the top 50 teams in the nation and they all finished among the top 10. The Razorbacks placed three golfers inside the top 25. Junior William Buhl led the way by tying for 15th with Luis Garza (t-21st) and Mason Overstreet (t-25th) rounding out the trio. Buhl, ranked 83rd nationally, jumped six spots after shooting even par Tuesday to finish at 3-over 213 (71-72-70). He started the day with a birdie but dropped a shot hole 5 to make the turn at even par. Buhl opened the back nine with a birdie before suffering bogeys on holes 12 and 14. However, he closed with three pars and a birdie on the par-5 16th to finish with his even-par round of 70. Garza, who was tied for 21st entering the final round, shot 71 Tuesday and finished tied for 21st with a 4-over-par total of 214 (73-70-71). Overstreet, ranked 42nd nationally, started strong by posting birdies on holes 4, 5 and 7 before settling for a 2-over par 72. He tied for 25th with a score of 215 (70-73-72). 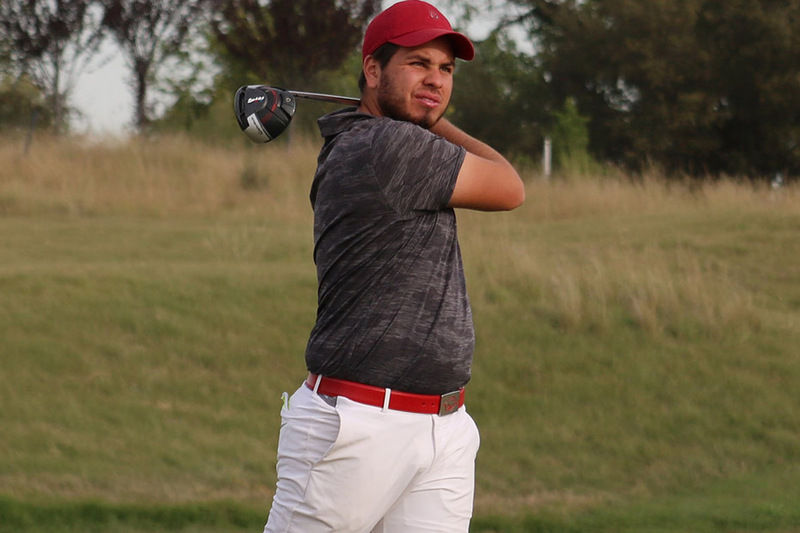 Julian Perico, who tied for the tournament lead with 14 birdies over 54 holes, had the round of the day the Razorbacks. The freshman jumped 17 spots on the leaderboard to finish tied for 46th thanks to a final-round 69 and 54-hole total of 220. Perico opened the day with a birdie but fell back to even par with a bogey two holes later. He made the turn at 1-under par as he sandwiched a bogey on the par-4 8th hole with birdies on holes 7 and 9. He offset a bogey with a birdie, adding seven pars, on the inward nine to finish with his seventh round in the 60’s this season. Tyson Reeder finished 59th (72-78-73=223) and Wil Gibson, playing as an individual, tied for 63rd (78-70-77=225). The Razorbacks will play its second TPC Course in a row when they travel to LaQuinta, Calif., Feb. 18-20 to play in The Prestige at PGA West – Greg Norman Course.